Big shock, I know. I’m a black guy from New York in an interracial relationship with a French woman from Paris, with a mixed race child. I’m almost the prototype for the “liberal elite”. Anyone who has followed me either on Facebook and or Twitter knows this about me. I’m the worst kind of liberal, too. I like to read, I’m a student of political history, I like to research my points before engaging in a conversation. So how did I become a raging, venomous, liberal? I was never political as a child growing up in a small studio apartment in Flatbush, Brooklyn. My mother never discussed her politics and I never asked her about them. To this day, I don’t know what my mom’s political affiliations or beliefs are and, frankly, it’s none of my business. I was bored by Social Studies, Civics classes gave me a headache. I suppose, like a lot of North Americans, I felt that it didn’t matter who I voted for because “they’re all crooks and liars” in the end. So as I said, I believed myself to be above the fray of day to day politics. I was too busy, too bored, too tired to be bothered. In fact I used to hate those guys. We all know them. The holier-than- thou,“You’re not paying attention to your country” type of guys. I still hate “those guys”. I know, I know, this is a comics site, and I’m a comic book creator. I also know that for most people the subject of politics is about as welcomed as a foot to the crotch. I’m getting to that, but I figured a little background was important. You have to understand that I need noise, when I work I mean. Growing up, I had a fairly sizable family so there was always activity around me. As I grew older, I, like a lot of artists, started to require some amount of background noise for me to concentrate. For me, I’ve found watching television to be far too distracting. It slowed my productivity down severely. Eventually I started listening to the radio more and more. Radio is a passive media, so it’s less distracting for me visually. The only problem is I can’t listen to music usually. So I became a fan of talk radio. I began listening to radio shows back in the late 1990s, Opie and Anthony who are on satellite now; Ron and Fez, Don and Mike (Don’s now in Sacramento, Mike O’Meara has his own podcast that I listen to daily); Leslie Gold “The Radio Chick”. Topical shows with a comedic bent. It was the same when I moved to California in 1999, I finally started listening to Howard Stern (but was never really a fan of); Tom Leykis; Conway and Steckler; Frosty Heidi and Frank; Leo Quinones, “The Film Freak”; Samantha Phillips and Sheena Metal on weekends. I enjoyed the variety , I enjoyed the varied point of views, but when I moved back to New York, little by little those shows began going away as the trend of “FM Talk” was slowly replaced by sports stations. Being that I had little interested in listening to people argue about the Jets, I found myself in want of a new distraction to work by. Sept. 11 , 2001, was an earth-shattering moment for us all. I was so shaken by it that I nearly enlisted in the United States Army. My family talked me out of it but it clearly changed me. One day, I was watching television in a rare moment. I was flipping through the channels mindlessly when I came upon a story about Air America, a liberal talk-radio network competing with conservative media. I wasn’t sold on it at first, but once I started listening to shows like Randi Rhodes, Mark Maron and Sam Seder, Al Franken, Rachel Maddow, I started to get hooked on it a little more and more. It was still mindless to me, still just “white noise” for me for the most part. George W. Bush was the president, and we were still reeling in some respects from 9/11 and the wars in Iraq and Afghanistan. It became nice to hear that there were people who agreed with the these new thoughts and ideas about government I had started to experience. Then, Air America went away as well. I was devastated. However, the change has taken hold. I’ve become a liberal. I donate money to my causes, I discuss politics, I study political history. I enjoy it, even when it pisses me off. I supported Barack Obama’s campaigns and even when he disappoints me, I still find myself engaged. I enjoy mixing it up with my conservative friends, whom I agree with on more than a few matters, but still feel the need to “inform” them when they’re wrong. I don’t march, I don’t have the time. I didn’t go to Occupy Wall Street, but I ordered them pizzas. I’m furious with the obstruction in the government. I study local politics. I still listen to “liberal” or, as they call it now, “progressive “ radio although they’re struggling more and more to stay on the air. When did this happen to me? When did I become, that guy? I’m not that guy … but then again I am. All because I needed something to listen to as I drew my funny books everyday. 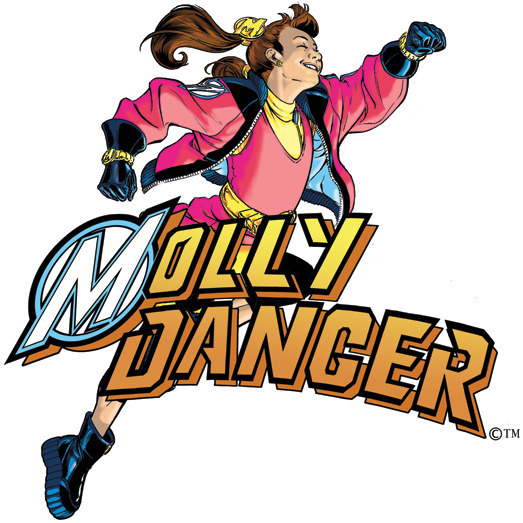 Jamal Igle is the creator of the brand new comic series, Molly Danger, from Action Lab Entertainment. He’s a long suffering Mets fan, but don’t hold that against him. Good article. I’m a conservative and a comic book junkie. This median is dominated by liberal view points but as long as the story works its all good. Comics are predominantly liberal because America was founded on liberal democratic principals. The most widespread religious affiliation here is Christianity which is the epitome of liberalism (sleazy and hypocritical right-wing ty-preachers notwithstanding). Comics themselves became immensely popular when progressive-liberal superheroes became the leading characters in the comic-book world’s contribution to the the fight against conservative right-wingers during WWII. Comics enjoyed a renaissance during the progressive-liberal decade of the 1960s during America’s fight against its own right-wing racists and sundry other right-wing “conservative” hate groups. Basically, comics are and always will be progressive and liberal as long as they continue to champion justice and human decency and contribute to the fight against greed, corruption, injustice, racism, and hatred–the mainstays of right-wingers everywhere from the Nazis right up to the present-day Republican Party. It’s this simple: right-wingers are the bad guys, liberals are the good guys. 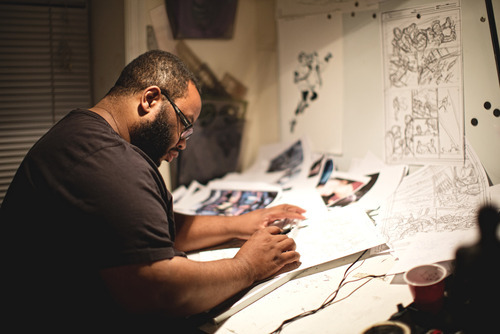 That’s America, that’s Christianity, and that’s comics!